This shot is from my December visit to Huntington Library in Pasadena, CA. 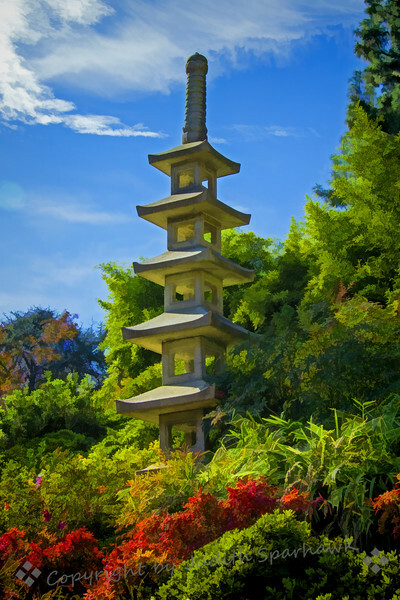 This is one of several pagoda type structures in the Japanese Garden, this one up the hill from the moon bridge. This is a filtered version using Topaz Labs Simplify, giving it a more painterly look.